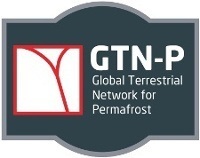 The Global Terrestrial Network for Permafrost provides information on active layer and permafrost thermal states. The Latitudinal Gradient Project supports scientists in investigations related to the broad theme of ecosystems research. The IPA's main contribution to the IPY was the development of a spatially distributed set of observations on past and present status of permafrost temperatures and active layer thicknesses. Emphasis is on permafrost temperatures since there is currently no global database that defines the thermal state of permafrost (TSP) for a specific time period (snapshot).